January 17, 1915 – South Halsted Street between Polk and Madison Streets becomes a battle ground as 1,500 unemployed men, women, boys and girls battle the police. 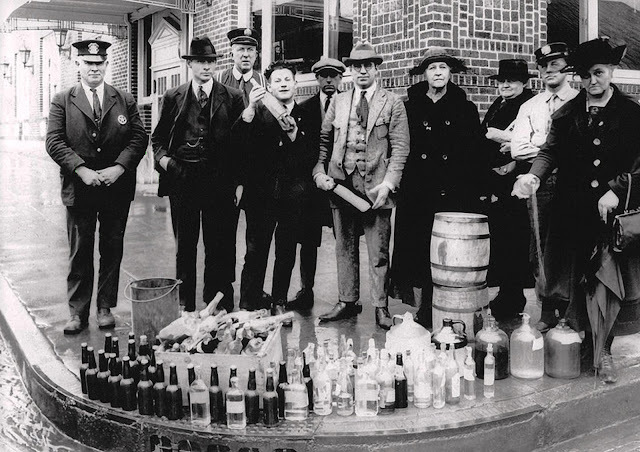 According to the Chicago Daily Tribune, “Shots were fired, clothes were torn, eyes blackened, and heads cracked while clubs, blackjacks, and revolver butts were used with bruising effect on heads, arms and knuckles” as the “hunger procession” proceeded up Halsted Street. [Chicago Daily Tribune, January 18, 1915] The battle occurs after a meeting of the unemployed at Bowen Hall at the Hull House settlement. Two detectives inside the hall, dressed as unemployed workmen, listen as Lucy Parsons, the widow of Albert Parsons, who was hanged for alleged complicity in the Haymarket Riot of 1886, speaks. The detectives, Sergeants Fred Krueger and Herman Eastman, report that trouble is brewing. Frist Deputy Superintendent of Police Herman Schuettler, who himself was at his post during the Haymarket riot, orders, “Demand a permit from them, and if they haven’t got one order them to disperse. The reserves will be on the way to help you.” A procession forms on Polk Street, just west of Halsted and begins to march, six people abreast, up Halsted, carrying a large black banner with one word, “Hunger,” displayed in white letters. The police order the marchers to disperse, but the marchers continue onward, a voice crying out, “To h___ with the orders. We’re hungry!” The policemen, small in number and waiting for reinforcements, are surrounded. According the paper’s reporter, “In a minute the cluster under the swaying ‘hunger’ banner was a maelstrom of fists and clubs. Girls and women shrieked and fell to the ground in the fray. A small, dark haired girl, climbing on to the shoulders of a man, dove head foremost into the center of the fight, her fingers reaching out for the eyes and hair of the policemen … The detectives drew their revolvers and began to lay to right and left, felling all within reach … Women threw their arms around the necks of the plain clothes men, biting them and tearing their faces with finger nails.” On the marchers move, coming up to a phalanx of policemen at Harrison Street; the procession breaches the line and continues north to Adams Street where they encounter mounted officers. On they continue to Monroe Street. Battered at each new block “the ranks of the marchers were becoming noticeably thinned. Those remaining appeared to be the more vindictive who had succeeded in fighting their way through.” Finally, at Madison Street the marchers find themselves surrounded, and many of those who are left “made for doorways, alleys, saloons, lunch rooms, and basements, where they mingled with the surprised patrons and escaped.” At each intersection along the route of the march arrests are made, and those taken prisoner charged with rioting, unlawful assemblage and parading without a license. 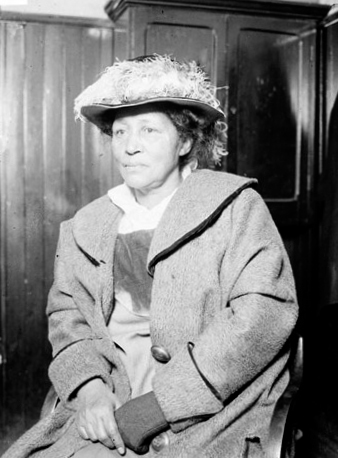 At the conclusion of the festivities the Tribune reports, “Halsted street looked like an armed camp with squads of police stationed at the corners and mounted men patrolling the middle of the street.” Mrs. Lucy Parsons is shown above, missing a glove, after her arrest. January 17, 1903 -- Judge Arthur Chetlain sentences George Wellington "Cap" Streeter to an indeterminate term in the penitentiary at Joliet for manslaughter for the killing of John S. Kirk on February 11, 1902 in the "District of Lake Michigan." The dead man had been a watchman for Henry W. Cooper, a man lakefront property owners had engaged to protect their interests on the north side of the river near Oak Street. "Cap" Streeter was not personally connected to the scene where the killing occurred; he was held responsible because testimony indicated that he had told the occupants of the district that if anyone "came fooling' around" to shoot him. After being found guilty in December 3, 1892, Streeter said, ""They found us guilty but it only goes to show that when a lot of millionaires get together and get the help of the state the liberty of a man ain't safe. This whole thing is a scheme." 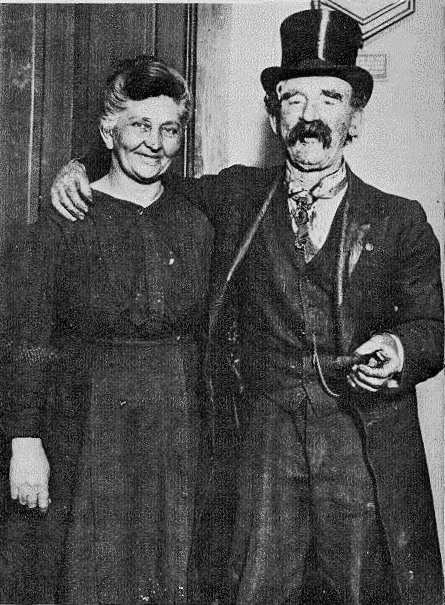 The captain and his missus are pictured above.